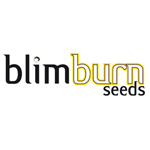 Blimburn Seeds - Tangie Auto. Free US delivery. Tangie Auto is the auto-flowering version of the 1990s strain Tangerine Dream. It is a very easy-to-grow plant that is characterised by an amazingly strong citrus scent. Tangie Auto has the structure of a large central cola surrounded by smaller satellite side-branching. It will grow well in all environments taking 70 - 80 days from seed to harvest. Each plant can produce between 50 - 120 gr. Resin production is very good and contains a THC level of between 8 - 14% with 0.6% CBD. The taste is strongly of mandarin with diesel notes.